For more press about Spa Sophia, go to our Press Page! Spa Sophia is excited to offer the Los Angeles area three new massage treatments! Massages have a tremendous amount of health benefits, and ours will completely recharge your body and soul. Wether you need a quick pick me-up during the workweek or an extensive experience that leaves you absolutely Zen, we've got you covered! The Esalen massage was created at the world famous Esalen Institute in Big Sur, California and we are proud to be one of few spas that offer this type of massage in Los Angeles and even Southern California. Using long, integrating strokes along the entire body, the Esalen body worker includes techniques from Swedish and Deep Tissue massage styles, along with breathing techniques from yoga teachings. The gentle rocking and kneading moves performed to the sound of ocean waves, bring you to an alpha state of total relaxation. A massage that truly has to be experienced! The Esalen massage is performed by our new massage therapist Michael. Read more about this massage therapist with over 25 years of experience in our Meet the Team section. Let the healing qualities of Jade Stone work wonders on your back and neck. This specialty massage incorporates heated and cooled stones placed on key parts of the body, used to destress organs and discharge toxins. This head, neck, and shoulder massage will wipe away the work day in a half hour! Shrug' off tension with targeted kneading and acu-pressure to work the boulders out of your shoulders, and instantly relax your neck and scalp. Stop in at lunch and take a break from the computer, the phone, and your desk. Leave feeling lighter and refreshed! See all of our massage treatments here, book one online now, email us, or call (310) 564 6676 to set an appointment. Massage Therapist & Ayurvedic Practitioner Megan Darwin Brings PostPartum Massage to BirthFit ! Megan: "Postpartum massage is so important - nurturing the nurturer. You can't show up and be all you can be for your family if you're exhausted and depleted. You really need to take care of yourself so that you can take care of your family. Self oil massage and baby massage makes such a difference in the lives of both mother and baby." Want to experience a pregnancy massage yourself? Book one online now, e-mail us, or call (310) 564-6676 to set an appointment! Keep your man looking hot! This facial is a tailored treatment for men, and was created to offer relief for dehydrated, aging, and environmentally damaged skin. The men's facial detoxifies the skin, restoring a firm, youthful and radiant complexion. It includes cleansing, exfoliation, extraction, face/neck/shoulder mini massage and a cocktailed mask. This facial will leave you looking like last night never happened! Your escape begins with an uplifting cleanse, followed by an exfoliation buffing off last nights residue. An intense hydrating mask combined with Atoxelene will then instantly plump, firm and lift the skin. Our cooling globes and mineral spray will de-puff and replenish the under eye area. Voila! You'll look like you slept a solid eight hours! Want to try one of these new treatments? Book Online, email us, or call (310) 564 6676 to schedule an appointment. Spa Sophia at the Celebrity filled Pre-Grammys Beauty Suite! Want to get the celebrity Spa Sophia treatment as well? Call us at (310) 564 6676 or e-mail us to set an appointment. Need a little skin pick-me-up, but no time to come to Spa Sophia? Opt for one of Spa Sophia best DIY face masks! While it may not be the same as our groundbreaking facials and relaxing spa experiences, it keeps your skin healthy in between treatments. 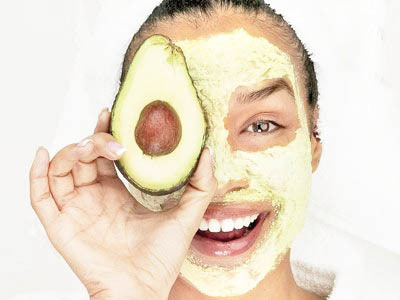 This delicious DIY avocado face mask recipe is one of Spa Sophia esthetician Natarsha's favorites. It's intensely nourishing, softening and great for those with dry, parched or dehydrated skin. Whip all ingredients together into a smooth, creamy mask and apply to face after cleansing and exfoliating, lever on for 20 minutes. Keep remaining mask in fridge and use as needed. If you're vegan you can substitute agave nectar for the honey. The oils are optional but give this mask an extra sensory dimension and extra nutrients for the skin. "The avocado is super rich in nutrients and oils, while the honey and raw coconut oil provide a soothing and mild anti-microbial effect. The vegetable glycerine is a humectant, helping to pull moisture in to the skin, the cacao is rich in antioxidants. Honey and agave are hydrating, Shea butter is nourishing and softening. Vitamin E aids in cellular repair and rosehip oil is rich in beta carotene and provitamin A, which has been shown to help reduce the risk of cancer in premenopausal women." Tried this mask? Share your thoughts! Prefer a real facial from one of our skilled estheticians? Go to our Facials Page to see the full list of treatments we offer, and book one online, email us or call (310) 564 6676 to make an appointment! 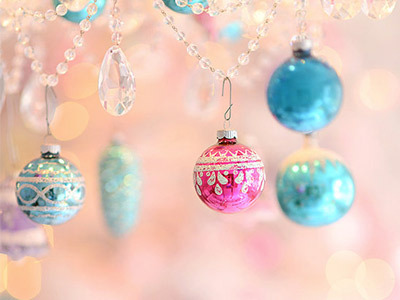 Christmas carols, christmas trees, pretty lights...December is upon us. Of course Spa Sophia is totally joining in the holiday spirits. From special gift sets to discounts to stuffed stockings, we're celebrating the Yuletide with multiple specials. And - as icing on the cake - holiday drinks! Looking for Christmas gift ideas? Look no further! Spa Sophia now has beautiful and specially discounted Jurlique and Zents gift sets available for under the tree. Or you can just treat yourself, of course! See all our special holiday gift sets here. 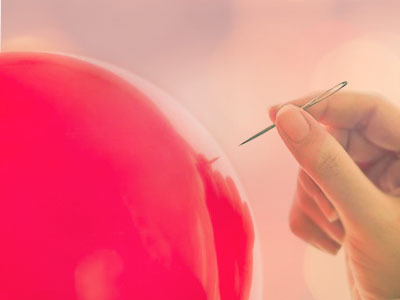 Want to gift your loved ones a memory rather than something material? How about a moment of pure relaxation, or a clear, completely renewed skin? From Spa Sophia credit to specific treatments, Spa Sophia has many gift card options. And if you buy a massage gift card at the spa, you'll receive a stocking filled with goodies along with it! Our Zents Holiday Special is also still valid, and will be throughout all of December. With the Zents special you get 20% off all Zents products when you purchase a Zents Journey Aromatherapeutic massage. Find out more about this special here, and book the Zents massage online, through email or by calling us at (310) 564 6676. To celebrate the holidays with you in a more personal way, we're hosting a little holiday get together! This Friday 5 December during Abbot Kinney's monthly first friday festivities in Venice, Spa Sophia will start celebrating at 6PM. Drop by and enjoy some champagne and small treats while receiving treatment demos, and checking out out holiday gift sets! Looking for Christmas gift ideas? Look no further! Spa Sophia now has beautiful and specially discounted Jurlique and Zents gift sets available both online and at the spa. Give these luxurious sets to a loved one, or just treat yourself! Share the precious gift of rose this holiday season. 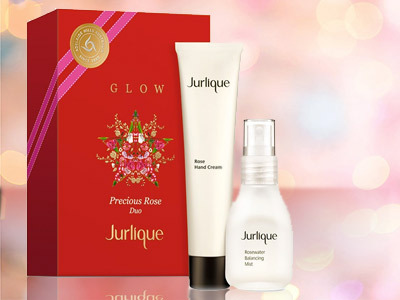 This gift set rebalances skin and spirit. Includes Rose Hand Cream and Rosewater Balancing Mist. Gift a collection of luxurious, nourishing body oils this festive season. Crafted with rich jojoba and macadamia oils for deep hydration, and delicately scented with essential oils. Included Rose, Lemon, and Lavender oils. This deluxe edition Rose Body Oil will help you glow this festive season. Lightweight, balancing body oil that deeply nourishes and softens skin and the senses. Can be used as a massage oil for all skin types. Provides hydration and antioxidant protection. Collection of our favorite hand cream miniatures that deeply hydrate with rich formulas and powerful essential oils. Four gorgeous scents will invigorate your senses. Included Rose, Citrus, Lavender, and Jasmine 0.5oz hand cream tubes. Our best selling Jurlique products in one set! This gift set brings potent plant oils and antioxidants together to hydrate, restore and protect skin, and improve dryness and dullness. Lusciously relaxing, sumptuously softening bath truffles are the perfect holiday treat. Age-defying passionflower and ginkgo help to restore supple, smooth skin. Soothing Arnica combined with detoxifying Epsom salt and pink Himalayan salt melts sore muscles. Available in Mandarin, Ore, Earth and Sun scent. Lusciously relaxing, sumptuously softening bath truffles are the perfect holiday treat. Age-defying passionflower and ginkgo help to restore supple, smooth skin. Soothing Arnica combined with detoxifying Epsom salt and pink Himalayan salt melts sore muscles. Each box contains 4 truffles. Available in Mandarin, Ore and Earth scent. A rich botanical Lotion with a luxe Shower & Hand Wash creates this elegant duo. Superior hydrating formulas, packed with 100% organic shea butter, replenish skin’s natural glow. Available in Mandarin, Ore, Earth and Sun scent. After much thought the family and I have decided to move up to Portland, Oregon before the end of the year. This of course means that I won't be returning to the spa. I want to say thank you to everyone for teaching me so many things and for making me excited to come into work every day. I have even been so lucky as to call many of you friends! I will miss so many of you but please don't be a stranger if you ever find yourself in Portland! We want to extend our love and support to our esthetician Amanda, who will be taking an extended leave from Spa Sophia. Amanda has returned to her home town to help her family and care for her dad as he recovers from a medical emergency. Amanda has expressed her sadness at leaving so abruptly and wants to thank her clients for their warm conversation, advice and support they have shown over the past 2.5 years. She asks for your thoughts and well wishes at this time and notes you will always be in good hands with the other wonderful therapists at Spa Sophia. I feel the need to reach out and thank all of you for your understanding and loyalty in these great transitions. I have total faith in the new evolving team but these ladies have been with me since the beginning and I will admit it is very sad to let go. I must have faith and remember that everything truly happens for a reason and I am beyond grateful for the exceptional new team. I am dedicated to maintaining the quality and care of our services no matter what so please reach out to me personally if you have any feedback or requests as we move forward. You as clients of the spa are of the utmost importance. Thank you so much for believing in us and allowing us to be a part of your lives. Feel free to contact me with any questions or feedback.